(Tribune file photo) Sun rises about 6 a.m. in the Sun Tunnels near Lucin, Utah on the Summer Solstice. 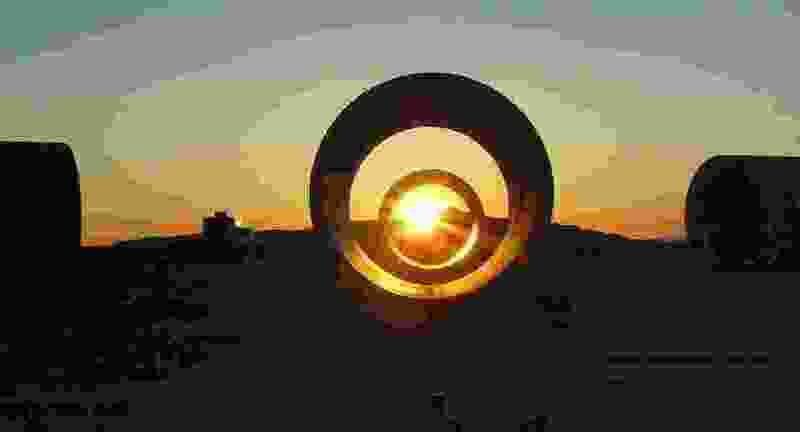 Artist Nancy Holt created the Sun Tunnels, four concrete culverts arranged to align with the sun on Summer Solstice. Holt died Saturday in Manhattan at the age of 75. New York • A New York art foundation says it has acquired ownership of a concrete art installation in Utah’s Great Basin Desert. The Dia Art Foundation says the desert work “Sun Tunnels” was acquired from the Holt-Smithson Foundation alongside a room-sized installation, “Holes of Light,” which will be exhibited in the Chelsea neighborhood this fall. The New York Times reports both works are by land artist Nancy Holt, who died in 2014. Holt-Smithson Foundation Executive Director Lisa Le Feuvre hopes the exhibition of “Holes of Light” in New York will draw visitors to the Great Basin Desert. Dia Art Foundation serves as a steward for multiple site-specific art installations across the world.